Tania as a massage and craniosacral therapist brings a more than a decade of bodywork background to her yoga classroom. She is interested in the therapeutic possibilities of yoga, and it's ability to counter pathology in the body. She believes that yoga can reduce chronic pain, and address the stresses of today's fast-paced, overstimulating lifestyle. Tania wishes to convey empowerment through body awareness. She believes in the art of transformation of Self through connection to Mind, Body and Spirit. Tania's yogic path began in 2001 with her first classroom exposure in a Bikram facility. She continued with hatha yoga at various studios and expanded her studies into Ashtanga, Iyengar and Anusara studies at Yogaview, Nature Yoga, and Yoga Circle in Chicago. 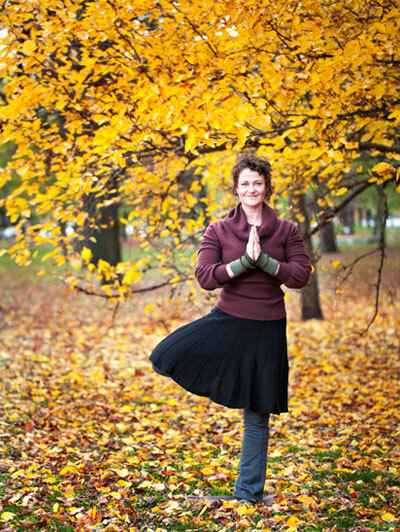 In the Spring of 2006 the call to teach led her to gain formal teacher training at Yogaview in Chicago. In Fall 2007, she moved to San Francisco, CA and later to Tucson, AZ to deepen her study of self-healing through meditation and yoga. In the Spring of 2009 home became Chicago again.Tania feels grateful to all her teachers for their ongoing guidance, support and endless patience. She finds inspiration with her students, who continually motivate her to learn more. While Tania encourages joy in movement in her classes coupled with enriching breath work, her emphasis is on healthy alignment, all anchored by spiritual connection to Self. Tania's classes offer a light-hearted blend of hatha and vinyasa. She carries a teaching style of kindness, patience, optimism and encouragement towards trust in one's Self. Class levels range from Beginner/Level I to Level II.